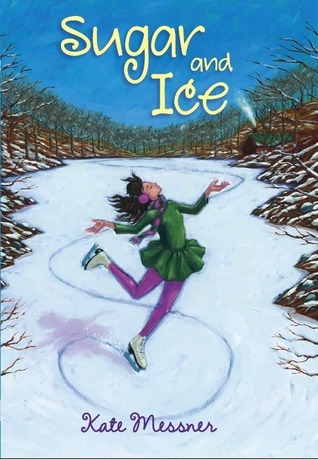 SUGAR AND ICE, my latest middle grade novel from Walker/Bloomsbury, comes out on December 7th, a week from today, and I’ll be visiting a whole bunch of blogs over the next few weeks, talking about everything from revision to research to skating schedules. I hope you’ll visit some of the great bloggers hosting me to check out their home bases and read about some of the secrets behind SUGAR AND ICE. Today, I’m at Laura Pauling’s blog to talk about parents in middle grade fiction (and you should also check out her previous post on the topic, called "Dead, Missing, or What?" which explores the tendency of authors to ditch the parents in stories for kids (something you actually don’t see in my books…I kind of buck the trend on that one.) Enjoy! The Bookstore Plus in Lake Placid is hosting a launch party from 3-5 pm on Saturday, December 11th. If you can’t make it but would still like a signed, personalized copy, just give them a call at (518) 523-2950 by December 10th. They’ll take your order, have me sign your book after the event, and ship it out to you in plenty of time for the holidays.